Shake up your same ol' craft routine! Paint your own wood rhythm instrument! 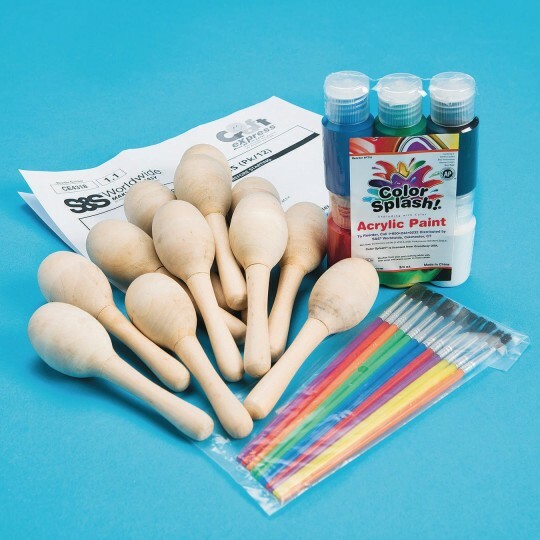 After they paint these wooden rhythm instruments with festive designs, your kids will want to shake, shake, shake them up! Measures 4-1/2". 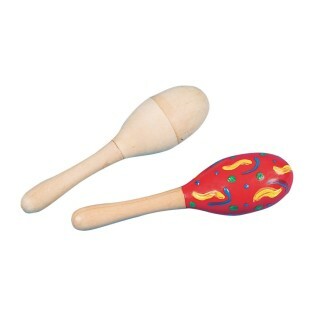 Includes maracas. Pack of 12. These were a little smaller then it looks in the picture but I was able to do this project with 2 3 year olds and they loved painting it. Our elderly clients loved them. Great value. I should have looked at the size--these things are very small! The population I work with is adults so I am describing these as baby rattles and encouraging people to paint them for their grandchildren...construction is good the rattle sound is soft but pleasant.